Family Medicine and Community Health is the medical specialty that provides continuing and comprehensive health care for you and your family. We specialize in you and serve as your "medical home.” Working with patient-centered team members based in our outpatient offices, your personal physician will provide you and your family with advanced, comprehensive health care. We have clinicians available 24 hours a day, every day of the year. Our goal is to get and keep you healthy. We provide personalized care services that include risk screening, prevention and wellness care, and acute and chronic disease management. Our physician-directed teams offer case management and liaison services when you need to see another Rutgers Health physician. Should your condition require hospitalization, we have a team of physicians around the clock in Robert Wood Johnson University Hospital, who will be there for you and coordinate your care. Our physicians and clinical staff see patients in a wide variety of settings, including the Family Medicine at Monument Square office in downtown New Brunswick and Family Medicine at Monroe. We see patients in area long-term care and assisted living facilities, and in your home through the Robert Wood Johnson Home Visit Service. We also provide care through our family medicine residency practice at CentraState Medical Center in the Freehold area. To learn more about each of these services, click on them in the "Current Programs" menu below. Click here to visit the department's academic website. Family Medicine at Monroe provides a full range of services designed to achieve a high level of health and functioning for every member of your family. Family Medicine at Monroe is our primary care office in Monroe Township, serving the township and surrounding areas. We are your personal family physicians, providing advanced, high-quality health care for your entire family. Appointments are provided Monday through Friday, 8 a.m. to 5 p.m.
Execpt Wednesday 8 a.m. to 8 p.m. Emergency phone service provided after hours: 732-235-8993. In addition, the Center for Healthy Aging at Monroe offers comprehensive medical care and services coordination to the geriatric population. If hospitalization is required at Robert Wood Johnson University Hospital, your care will be provided by our 24/7/365 Family Medicine team, as well as by your primary physician. Reach us by email for non-urgent questions and refill requests: fmrwjmg@rwjms.rutgers.edu. Walk-in or same-day visits are welcome between 8 a.m. and 4:15 p.m. for all established patients. At the heart of our practice are coordinated teams, led by board-certified family medicine physicians, that include physicians, nurses, medical assistants and front-office staff—all focused on you. We want to provide you with great care that leads to great health. Click here to view our practice brochure and learn more. If hospitalization is required at Robert Wood Johnson University Hospital, your care will be provided by our 24/7/365 Family Medicine team. The Family Medicine at Monument Square Maternity Care program allows you to receive your preconception, prenatal and maternity care from the same physician and practice that provide your primary care services—adding a level of comfort and convenience during this special time. Committed to providing patient- and family-centered care, the physicians involved with our practice’s Maternity Care program focus on providing the type of pregnancy and birth experience that meet the desires and needs of each patient. We focus on the needs of you and your growing family. We will work together with you to provide your ideal experience for prenatal care and the birth of your child. We can also provide care for you and your family once your baby is born. Continuity of care and collaboration are hallmarks of the maternity care services provided by Family Medicine at Monument Square. The Maternity Care program is designed for low-risk and some moderate-risk patients. Our close, highly collaborative relationships with Robert Wood Johnson Medical School obstetricians/gynecologists and maternal-fetal medicine specialists ensure that all of our patients receive care that is best suited for each individual. In fact, an initial meeting with each mother-to-be helps identify anyone who may be in need of additional care during her pregnancy and delivery. We work closely with our collaborating specialists to offer precisely the care our patients need. Clinical services provided for older adult patients include office-based primary care of the complex, interacting health concerns of the older adult, consultative ambulatory assessments of function and cognition, and primary care services for residents at select senior housing and nursing home settings and for frail homebound residents within a geographically restricted area in central New Jersey. Participating clinicians are based at Family Medicine at Monument Square and see patients in multiple locations within the area. As the need for in-home medical care of the homebound elderly and disabled dramatically increases, Rutgers Health aims to provide relief through our community outreach program. Doctors and associated health professionals will come to you or your loved ones, whether it be at home, with family, in an assisted living center or in senior housing. House calls are our only responsibility at the Home Visit Service, and we aim to keep you out of hospitals, emergency rooms and waiting rooms whenever possible. Our Home Visit Service will provide primary care ranging from the "routine physical" to care of multiple complex and serious conditions. This will be accomplished via examination, X-ray, EKG, blood work and urinalysis, as well as ultrasound studies, all done in the comfort of your own home. The Home Visit Service also works closely with area nursing agencies, therapists, social workers, podiatrists and dentists to provide comprehensive care that includes managing medications, wound care, hospice care and hospital follow-up. In the event hospitalization is needed, the Home Visit Service works closely with your and the rest of the area's best doctors and hospitals. We will make your transition as smooth as possible, while ensuring you get the highest quality inpatient care the region has to offer. If getting medical care has begun to feel overwhelming or challenging, then give us a call. Our mission is to reduce the stress of this unfortunate situation as you receive the medical attention you need and deserve. A robust, collaborative program with dozens of professionals, the Hospitalist Service provides care to adults who are inpatients at Robert Wood Johnson University Hospital (RWJ). As the name suggests, our hospitalists and their team of are dedicated to delivering comprehensive medical care to hospitalized patients, with particular expertise in managing the clinical problems of acutely ill patients. Overall, University Hospitalist Group cares for between 40 and 80 RWJ patients each day. In addition to the many responsibilities these physicians have, some participate in teaching services and research projects as well. A few part-time and/or per diem practitioners also provide care to patients in the outpatient setting. To learn more about the Hospitalist Service, call 732-235-7670 to speak with Robin Covington, administrative coordinator for the program. The Sports Medicine Program at Rutgers Robert Wood Johnson Medical School specializes in the diagnosis, treatment and prevention of musculoskeletal injuries. One of the first primary care sports medicine programs in the nation dating to the early 1990s, the program is provided through the medical school's Department of Family Medicine and Community Health. Our faculty members have been among the leaders in the rapidly growing field of sports medicine, with two having served as past presidents of the American Medical Society for Sports Medicine. Our faculty have been recognized nationally for their work in this field, including concussions and musculoskeletal ultrasound. In addition to being available to seeing you for your Sports Medicine needs at Family Medicine at Monuments Square, our faculty serve all the Olympic-level NCAA Division 1 Athletic programs at Rutgers, The State University of New Jersey, and Princeton University, serving as associate directors of sports medicine for those programs. The program has been involved in research in such areas as analyzing concussions in athletes, cardiovascular risk factors in athletes, and the incorporation of musculoskeletal ultrasound into medical education and its expanded use in research. More inforamtion will be provided, check back soon. We offer complete, team-based care for your health and well-being. Our team includes doctors, nurses and medical assistants who have specialized training in women’s health. 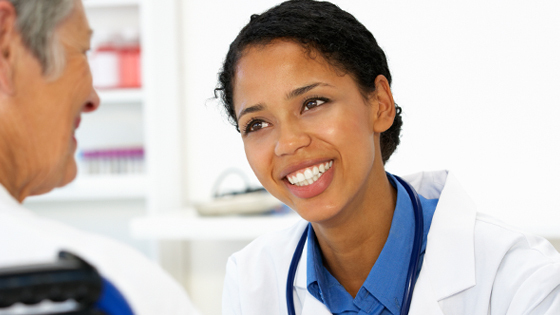 We are dedicated to providing you with the highest-quality, woman-centered care. Appointments are available Monday and Thursday mornings.